Royalty free music to use. Burn to DVD or upload to YouTube directly. If we asked you to name the world's biggest search engines, undoubtedly you'd come up with Google, but what would be number two? Bing? Yahoo? The truth might surprise you. According to figures, the world's second biggest search engine is actually YouTube. Millions of people are using it everyday to search for videos about fitness, hair, marketing and more. With such a large audience already searching directly on the platform, doesn't it make sense that when we use YouTube keyword research and SEO should be as important as it is on our website? Luckily, we can use YouTube keyword tools to analyze YouTube keywords. Here we're going to take a look at 10 best YouTube keyword tools out there, which can help you identify and optimize for the highest traffic keywords for your videos. By optimizing your videos, you can rank higher, get more views and enjoy a larger audience on YouTube. Do you want to edit YouTube video easily? Filmora9 is a YouTube editor that you should have a try. As a YouTube video editing tool, it is simple to use with dragging and dropping. You can add various video effects, filters and transition to make your video better. Besides, titles and texts are also available to use. After editing, you can directly upload video to YouTube plactform. Now, download it to have a try! Before you can get into using any YouTube SEO tool, you'll need to identify what the best keywords for your videos are. Let's start by taking a look at the best YouTube keyword tools available. When you start to search for something on YouTube, you'll probably notice that YouTube suggests some keywords to finish your search. This is called autocomplete, and it works by suggesting the most popular keywords that start with the letters you've typed so far. 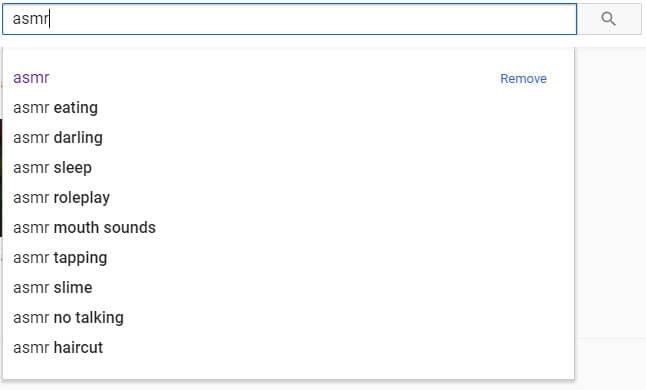 What it is essentially saying is that those are the most frequently searched for terms that use the words you've already typed. This means it's a great place to start building your keywords, and a fantastic YouTube keyword tool for your videos. Just start your search for your video (e.g. shoes for…) and see what comes up. In this case, we can see that the most popular keywords are 'girls', 'men', 'kids', 'summer' and 'boys'. Without doubt, this is one of the most powerful YouTube keyword tools out there, ranking hundreds of keywords by popularity. It captures data from YouTube autocomplete and allows you to create lists of keywords from that data. As well as autocompete data, you can also search for questions people are asking, which makes it highly beneficial as a YouTube SEO tool. The downside to this particular tool is that it's fairly limited on the free version. Upgrading to Pro Basic will give you almost double the keyword results and will let you compare the volume of searches made for those terms too. However, this will set you back around $68 a year, so it's going to be something of an investment if you go for it. SEO Chat is an amazing free tool that can generate keyword ideas from Google, Amazon, Bing and YouTube. You can search for keywords from all of those sources or can just search YouTube alone to find your keyword lists. You'll need a 'seed' keyword, such as 'shoes', 'make up' or 'marketing', and then organizes results alphabetically with other letters following your seed keyword. Simply scrolling through the results is going to give you loads of ideas for keywords and possibly content too. The tool also allows you to further expand your results by selecting a keyword and running 'part two' of the process, which expands those phrases even further. 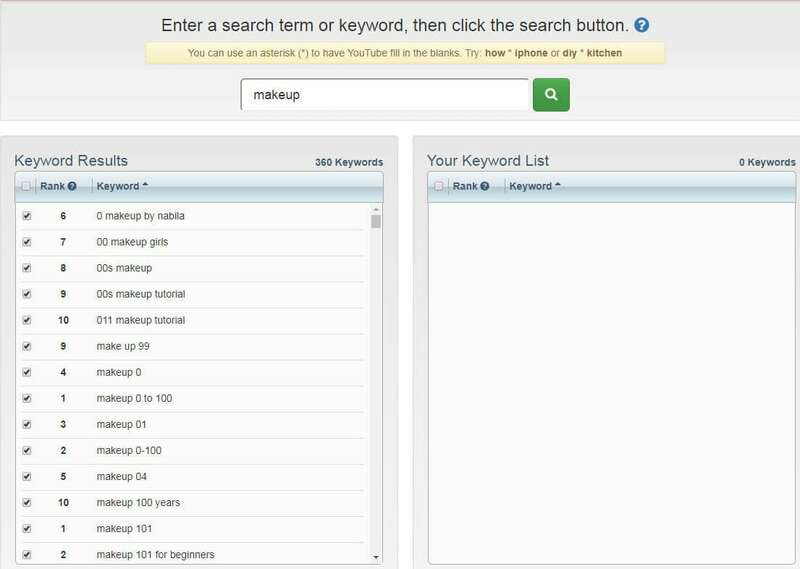 Your chosen keywords can be exported from the software, ready for use in your YouTube SEO tool. Why not learn from the best and see what's already working for your competitors? Finding their high traffic keywords is easy and can save a lot of time and energy. To do this, pick a channel that is around your size, as they're your nearest competitors. Steer clear of the huge channels, as you'll find it hard to rank next to them. Click the videos tab to see their content, and sort them by 'most popular' to see the ones which got the most views. Take a look at the title and the description of those videos, and you'll find a good fistful of proven keywords that you can start using yourself. That's not all though. To maximize your competitor research, let's dig a little deeper into the tags they have used for their videos too. Unfortunately, these are hidden on YouTube, but are easily seen using the page's HTML. Simply right click on the page and select 'view source'. Don't be alarmed at the great stream of HTML that pops up, it's easy to search using your search function (press ctrl + f on Windows or ⌘ + f on iOS) by typing in 'keywords' to the search box. The following terms are the tags used in the video. If ploughing thorough HTML sounds somewhat taxing, there is a handy YouTube SEO tool you can use to display the tags on page. It's called TubeBuddy and is a Chrome extension which you'll find in the Chrome store for free. It's got a grand name, but it's actually really easy to use and a great place to start if you're new to YouTube keyword research. Pop in your seed keywords and the Dominator will produce a list of relevant keywords related to those terms. You can then select the most useful and download them to your device. The drawback with this is that you can only perform three searches a day on the free version. Perhaps that's enough for you to begin with, but if you want to upgrade to the unlimited version, which will also give you search volumes, it's a one-off fee of $39.99. 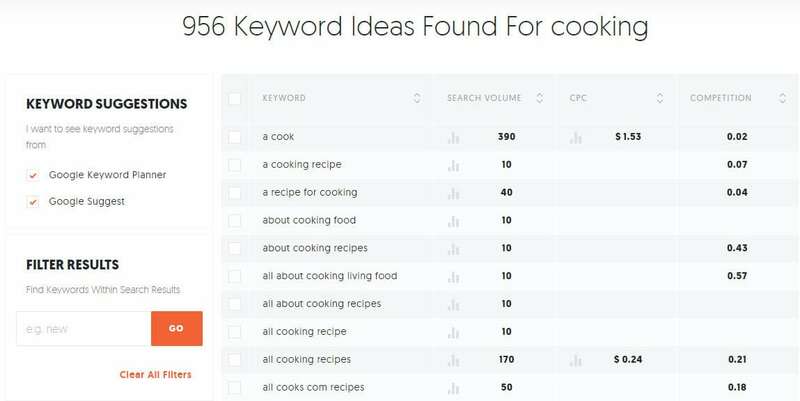 For getting more data on specific keywords, Ubersuggest from the SEO guru that is Neil Patel is one of the best tools out there. As well as showing search volume and competition, you can see other information such as cost per click and the seasonality of the keyword. It's free to use with no limitations at all, so is well worth checking out. We would highly recommend investigating Google Trends as part of your YouTube keyword research, as it is powerful, accurate and, best of all, free! The options let you narrow down the trend results to just YouTube searches, which is great for gaining insights to your search terms. You can narrow down the results to a specific country too, helping you to gain insight into what your target demographic is currently interested in. The keyword tool in VidIQ is one of very few research tools that has a function for just YouTube built in. You can paste in the keywords you want to research, choose the country you wish to target, and it will return all the search volumes and amount of competition, and will score your keywords based on these figures. On the downside, there is a fairly complicated subscription process to go through if you want to upgrade from the free version. To be honest, the free version is OK for new users, but for in depth analytics you're going to want to upgrade eventually. Keyword Keg is definitely one of the most powerful YouTube keyword research tools out there. It offers lots of data, drawn from a variety of data sources including Wikipedia, Alibaba, Playstore and more. There are filters for country and language and you can drill down into issues like buyer intent and product info. However, as with most free YouTube keyword tools, there is a strict limit on what you can do before you pay. In this case, you only get to see the first five results unless you want to upgrade. Kparser is a YouTube keyword tool that you should notice. You can use it to find YouTube keywords free to use. 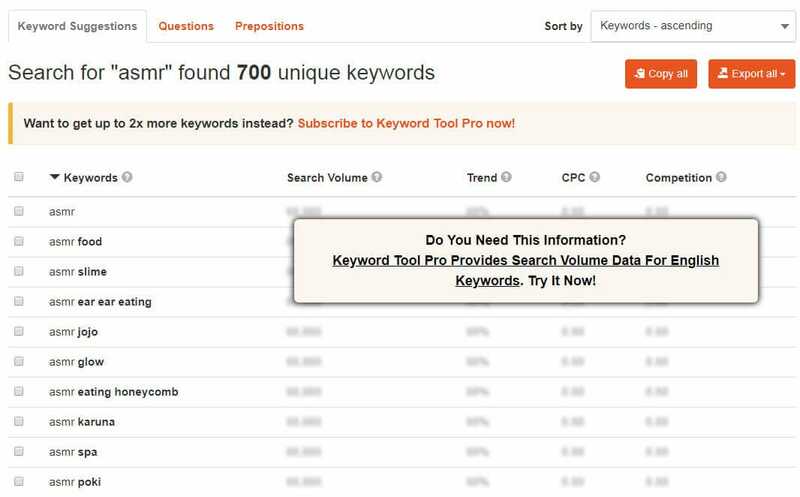 More than finding the best core keywords, this tool can also give you suggestions on long tail keywords in every field. By use this, you don't need to worry that you can't the right keywords to use in title, description and tags. You also can selcet country and language when searching a YouTube keyword. For searching more than one keyword, remember to seperate them with coma. Getting your video ranking highly on YouTube is excellent and will certainly bring you more traffic. But, do you know what would be even better than that? Getting your video ranking on Google as well. 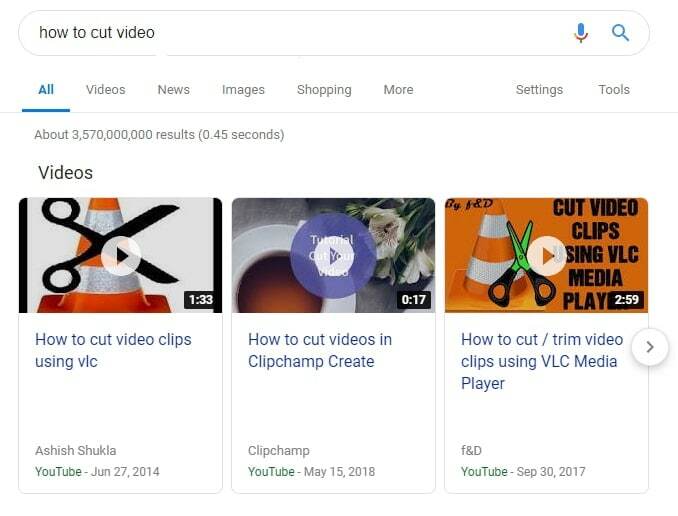 To do this you'll need to find 'video result keywords' in Google, so that yours can be one of the selected videos that sometimes show up in search. Google decides what should and shouldn't trigger a video result, and usually shows them when a video would make sense, for example when someone asks 'how to' or searches for 'cute' or 'funny' things. There's a bit of trial and error involved as there is no YouTube keyword tool to find video result keywords… yet. But you can use Google to search your keywords and see if they are video result keywords. Just type them in, and if a video appears in the listings below, you've discovered a video result keyword that is well worth optimizing for.